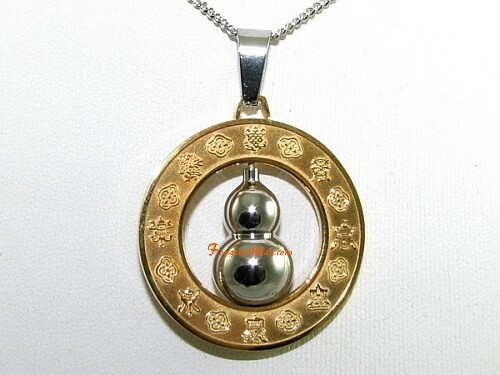 A high quality beautiful pendant with a golden disc encircling a spinnable polished chromed Feng Shui Wulou. 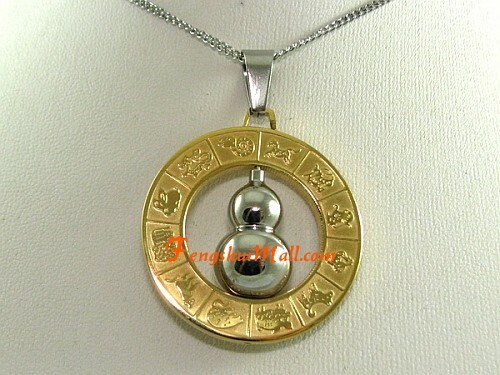 On the disc features the 12 Chinese Horoscope animals on one side and the Eight Buddhism symbols on the other. 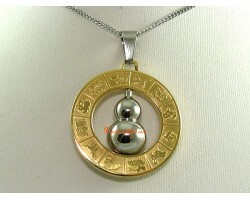 Wu Lou is one of the most prominent symbol of good health and longevity in Feng Shui. 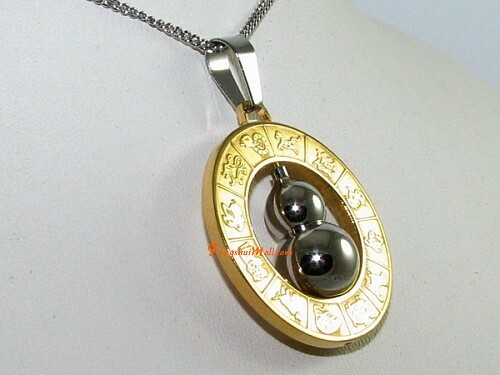 To attract good health energy, prevent any illness bringing energies, and deter bad energy from causing accidents, wear this feng shui health amulet pendant with you at all times. A perfect gift for your close ones undergoing a medical treatment, is sick or in recovery. Comes free with a necklace. All products from our Feng Shui shop are cleansed and infused with positive energy before shipping.